Our Denver Pop-Up Showroom was a success and so much fun! What a week meeting all of you near and far to check out the gorgeous space at the Denver Speakeasy. We just had to share some of our favorite set ups! 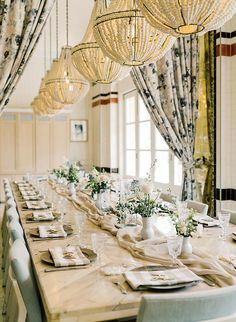 Shibori Ingido is a tie dye dream. 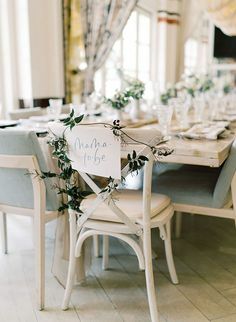 Paired with a pop of pink florals and set against copper chairs, this table is summer party ready. And the macrame fiber art from Mermade Studio was the perfect touch! New linen alert! Aurora is sheer, delicate and the ultimate romantic touch to any table. This beauty is available now and comes in six colors – blush, mauve, silver, ivory, white and sand. 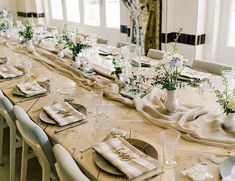 Test out this 50 inch wide, 12 feet long table runner for a dramatic look (paired here with our Velvet Lilac napkins). The golden hue of Nikos on this table has a luxe boho feel. 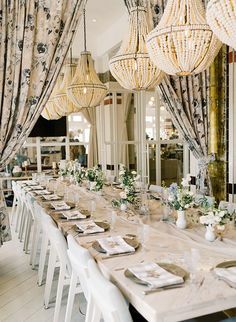 Paired with antiqued brass and colorful, fall-feeling florals this table was a real crowd pleaser. With some subtle sequins Ariana Navy is a great statement linen for a sweetheart table as shown here over Topaz Lavender with Va Va Boom Plum Napkins. A big thank you to Sara Corona Photography for these shots and to Eclectic Hive, The Perfect Petal, Yonder Floral & Decor House and A Cake Come True in making the pop-up so picture perfect!